A piercing Gaze:YG attempted to fuse Kafka’s parables with Dejen’s history with the aim of creating an imaginative political fantasy. But the concepts were altered from their original meaning in a very significant way. In part he discussed the theme of, “A Message from the Emperor” whose core meaning is about messages going to nowhere. We can understand that there was a message that was sent hoping for justice that never materialized, exactly like what happened to Dejen. 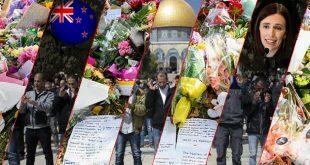 It is as if a mother drowned while in labor, yelling for help until she was swallowed by the sea, similar to what it happened to an Eritrean mother during the Lampedusa tragedy. “Before the Law” is also another carefully selected parable. YG wrote, “Dejen literally waited eternity for that message from the Emperor, Isaias Afwerki, to arrive (and to some extent, is still waiting). Is this all that Dejen in his interview? Of course, Dejen was sending many letters addressed “to whom it may concern.” He spent 15 years in prison writing at least writing an average of 1.5 letters every week—he produced about 1170 letters. I hope these letters are archived by the PFDJ. Dejen told us about one side of his daily communication practice. Within the PFDJ security system, the prisoner gets a visit, not a family visit, but by an interrogator as a routine procedure, to checks and cross-examine the status of the prisoner. At this moment, any verbal question, complaint or concern is not accepted, it should be present in writing. This has two objectives from either side: for the prisoner, it is a kind of relief to express his feeling even if only in writing, and hope for justice; for the officers, they get to follow up on the psychological state of the prisoner and to keep general records. But YG presented that as if he was literally waiting for a reply though what Dejen said was quite different. Though Dejen was lenient at first, as soon as he gave-up the system, no doubt he was doing everything a routine requirement. Parallel to that, he was planning to escape from the prison, and he gave much emphasis and energy on his escape plan. YG’s complete belittling of Dejen’s efforts to escape and presenting it as if he only expected justice through his letters, which is completely untrue. At no point can we learn how this parable resembles that of Dejen’s take. YG stated, “… this uncanny resemblance to the ever-hedged world in which Dejen found himself, especially so since both deal with the issue of fithi…” Dejen, played the two—like every prisoner, he expected to be put on trial or be released. In fact, after giving up on the two possibilities, “Escaping” occupied his daily thoughts. People who grow-up in slum have rich vocabulary of vulgar words; it is hard to trace the origin YG’s absurd mentality: being a young boy of the 1960’s and thinking about the possible quality of cultural purity at that time, he can badmouth with great fluency. Words flow just like water gushing downstream.. YG is not only a source of enormous amounts of vulgar and defamatory words that target the opposition groups but is a nursery and factory of such vocabularies. I am not a psychologist but this seems a serious psychological problem. Here is a list: “dictator”, “despot”, “tyrant”, “oppressor”, “totalitarian”, “megalomaniac”, “paranoid”, “lawless”, “victimizer”, “wulqe-melachi”, “aremyen”, “amatsi”, “regats-fithi”, and after few seconds pause, he continued; “dictatorial”, “lawless” (highi-albonet), bestial “arawit”, “badonet” (nihilist), “shameful”, “whose history will be written in a dark book”,etc. I heard that such cultural values flourished in Eritrea during the Derge era. I wonder how YG built his bank as he always refers back to the era of Hailesellasie in all his writings, with no apparent mention of the Derge. YG is good at accusing people and claiming others are also doing the same. It is generally believed that fear can trigger the temptation to surrender freedom to a demagogue who promises, power and security in return. When fear displaces reason, the result is often irrational hatred and paranoia. YG has expressed his fear and disturbance very clearly in his last article, even in building his own assumptions. The Ghedli did wrong to Eritrean people. Therefore, Eritrea as a free nation should not have existed. If it took Dejen four years in prison to give up on the system,… how many years of living in today’s civilian Eritrea would require for the average citizen to give up on the system? YG imagined, “Given this, I am wondering, if the only way Dejen could escape from the Carcelli prison had been by shooting at the guards, would he have attempted it? Or would he say, “These are my fellow teghadelti. How can I shoot at them?” YG dismisses the fact that Dejen crushed the prison gate to escape by bringing irrelevant “if” argument. Weren’t those standing at the gates tegadelti when he broke through the gates? YG is questioning his resolve after the fact! Dejen already broke through the prison gate. Dejen came from Bet Timhrti Sewra (The revolutionary School of EPLF). Ingunn K. Mork Bjorndal wrote a research he carried out at the ministry of Education between 1998-1999 under the objective of, “what was the role of education in the Eritrean Liberation War, and how do the wartime experiences of former EPLF educators influence what they think and do as MoE administrators today to create an Eritrean national culture of education? The research methodology was inspired by philosophical hermeneutics–applying philosophical thinking to the interpretation of written texts. EPLF’s revolutionary school was established in 1976 at a camp in Sahel. Students with different backgrounds and locations attended that school which became an orphanage, for children of fighters, nomads and displaced highlanders in EPLF camps and for Eritrean youth who had run away from Ethiopia, areas occupied by the Dergue, or camps in Sudan. In 1986 there were about 3270 enrolled students in the school. In 1985, the EPLF opened a vocational school called Winna Technical School. Dejen’s mindset is simple to understand; the educational philosophy of EPLF was to produce revolutionary brainwashed mind-set. 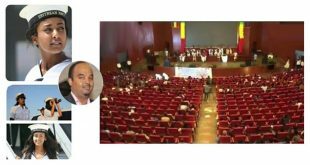 As Bjorndal put it in hispaper, “I asked former EPLF educators to explain the educational aspect of the Struggle and the philosophy/ideology behind EPLF’s vision of a new Eritrea and a new kind of education” which can be implied equally to the same objective. In short, the philosophy is, “education as conscientisation and liberation – that liberation also includes the liberation of culture from colonial ideological imperialist.” And for this the educators use constant brainwashing mechanism to orient the mind to a level where everything is directed to a constructed real or imaginary enemy. Dejen is one of these students who in that school till grade 9. By 1978, his entire family—his father, his mother, his three siblings—were all enlisted in the EPLF. As a child, he was enrolled in the “Revolutionary School”, and was literally raised by the revolution. In 1991, when Eritrea became independent, he was about 16 years old. Dejen grew-up and was nurtured by revolutionary concepts, “tewelide n’Adey” mind-set. YG wrote, “The entire school system of the nation was excluded from participating in this selection process that would initially make up the Air Force of the nation.” Bold and misleading sentences that are totally out of reality. This shows how ignorant YG is on the reality of the EPLF’s and later the PFDJ’s (Eritrean) educational system. Worst, he went back to Hailesellasie Era to prove his statement, “During Haile Selassie era, I remember [when I was a high school student at San Giorgio] when the Ethiopian Air Force used to recruit students through standardized examination all over the high schools in Eritrea, as it did in the rest of Ethiopia.” I am not surprised that such an ignorant reference is to utilized by YG. This is about 1991, and if one is thinking of establish an Air force, who is the best candidate? The one who is already in the military, an ideologically ready combatant or a student randomly picked from the population? And that is concerning the first year. In the consecutive years, the Eritrean Air force continued to accept students from technical schools and I was requested to apply in 2001. Even in 2002-2003, the Air force was taking students from the University of Asmara. Also, there are all kinds of examinations to be accepted and only the capable joined the force. Therefore, YG’s allegation is invalid and it shows his complete ignorance of the educational system which is run by the EPLF/PFDJ. The 1991/2 phenomena was a default, not a privilege. Dejen showed his wisdom in the manner he chose his words; he said repeatedly that the president was just a student. For a patient, composed man, what Dejen said is very clear. As I wrote before, YG expected him to use vulgar words, but Dejen surpassed YG and like-minded people by appearing as simple as he is and truly transcended hero. A student stays a student till he graduates. A student cannot become a class-supervisor or a school director while teachers are still educating him; I do not know how YG failed to understand this. 4 Years Transcendental: Is that much long? In 1999, Dejen was probably 24-25 years old. Even after four years, he will still be under 30, to properly to analyse what really was going on within him–he was not a politician; he was a technician and a fighter. 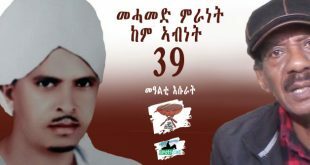 On the other hand, even after hearing all the civil wars between two revolutionary fronts, all the execution of university graduates in the 1970’s by EPLF, and all the youth and student frictions that were going in US between the front supporters, YG just denounced PFDJ in the late years of the 1990’s, specifically after a few years following the border war of 1998. 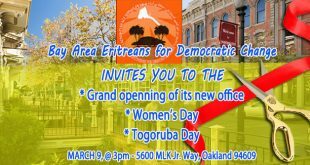 YG was not able to recognize and define the PFDJ for a long time ago while he lived freely in US and with amole reading materials, education and other opportunities he had. For a complete transcendence, according to eastern mystics, a number of meditation steps must be learned, practiced and mastered. Only then one can have a completely new life. Imagine a man who is forced to sit in one room and yet looking for “justice”, how is it possible to practice such de-brainwashing? Had it been by choice, like Buddha, then everything is possible and yet there are temptations. If we think about the temptation in Dejen’s mind, he could have committed suicide, but he did the opposite. YG purposefully ignored that the first four years were crucial for the next 11 years for Dejen to patience live in hope, searching alternatives and still preparing himself for any opportunity. For Dejen, the four year years was a period of meditation, a complete mental emancipation, and declaration of freedom. Not like YG’s one day visit and betrayal of the Gedli. YG has no moral background to speak on sacrifice, he does not know what it means. It is like a joke I heard of diaspora Eritrean who stated, “I will go to my country, be martyred… and then I will come back.” YG was in a complete dissociation from reality. To his ignorance, he expected Dejen’s family to differentiate between Shaebia and PFDJ. He wrote, “There was not the slightest bit of ambiguity on the parents’ side when it came to the entity they were referring to; be it coming under the name of PFDJ or Shaebia, it remained the same.” But even the elites of Eritrean politics are still not capable of making the distinction, let alone the fighters. Though my objective is specifically a rebuttal of YG’s article, after listening to all the audio interviews, and I am convinced that Dejen should be glorified—I have omitted even, the most important events detailing all the short lived obstacles he encountered at the last hours of his escape. 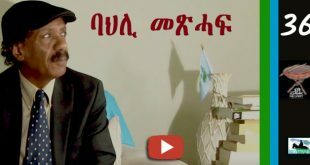 YG chose Dejen to build his argument, but in the process he went astray as he tried to fabricate a new imaginative Dejen who does not exist, through whom he tried to infer a character in order to apply to whole Eritrean population. All the assumptions he developed, the ifs, the allegations, the fabrications, the use of vulgar words, deviation from the main truth, accusations, appearing as innocent praise are all meant to enrich the already well-established school of thought YG has built to deceive and recruit followers who are totally detached from their true Eritrean values. Before the Law: An Interpretation. Accessed on 23/07/2014. Ghebrehiwet Yosief. Dejen’s Syndrome: the Contradictions of the Eritrean Mind. Accessed on 22/07/2014. Jemal, you forgot the one and only Nitricc. Dedicated and full of talent if he can control his emotions and use clean language. I wonder why Saba and Ali Salim disappeared together, abandoning their clinic? Yodita’s loss is a real shame. I hope she comes back. Armi Arkey – taking a shot at “Nitric the entertainer”:) Are you being sarcastic? Oh Tommy, look what you did to yourself now. Nitricc will call you all kinds of names and he will get a warning from AT and he will say you started it because you called him a hyena while you clearly did not. Just watch. Ermias this is not my fight. I need a person worthy of the fight. Never engage with drunks night coordinator. Besids isn’t he the priduct of the toothless university of Asmara? I must be either so poor to understand his message or else so biased that I couldn’t see his talent and the positive side of his messages. Can you briefly list few of them? You must be right. But his choices of words look serious to me. Rahwa, you must have forgotten that you and I are founding members of the ‘peace club.’ We need to lead by example. Your comment above could really get you in hot water with Mahmoud Saleh and Fanti Ghana. One of the requirements of being a good standing member is to stay positive at all times, even in hostile confrontations from others. In those instances, you are supposed to bring up your concerns with the board. In this case, you were unhappy with ‘lavish praise’ of Nitricc by a board member. You can propose outlawing excessive praise of undeserving characters in our next meeting. My God! I was not sure about the role of the club memmbers. My apologis to Nitricc. Until we digest our club’s objective and create rules for ourselves, no disciplinary action will be taken against anyone yet, but I will give you a hint about why some of us are unable to dislike Nitricc. Most of the time, intent is more important than reaction! Stellar article, brother. YG’s problem is that he never humanized Dejen. He didn’t ask himself what would I do? You exposed major fallacies with his arguments and I like all if them. There’s one in particular that caught my attention. YG is wondering what Dejen would do if the only way out was to shoot the guards. YG acts like this is a video game with no real life repercussions. People are arrested around the world knowing they are innocent. It doesn’t mean that killing your way out is a no brainier when you’re in that situation. What would YG do? Glad we don’t have to find out. He’d probably drop the AK47 because it’s not Habesha in origin. Where’s a sword when you need one? This article shows more than any other how this guy is haunted from that one visit he made to Eritrea. 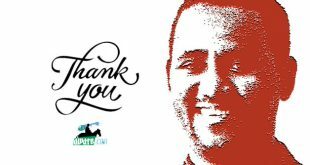 His ideas thrive in Asmarino.com because that place has become a circle jerk of people who seek to undermine our legacy, our confidence and any hope we have for a brighter future for Eritrea. I AM CONSIDERING MAKING A COME BACK !! 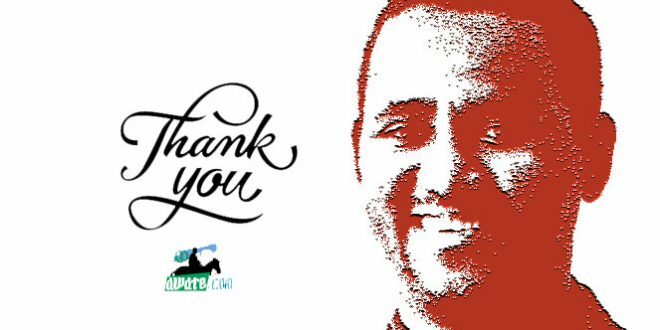 Awate Forum will always welcome you back and will miss you when you say good bye. Feel at home and as if your mother is waiting you opening her doors and a good mother’s food. You know in the whole world food cooked by your mother is the best. Here is then awate for you. that analogy is fantastic because it applies to every thing we would like to state about our love of our country.. culture.. tradition..religion… language… every,,,everything. In the first part of your article, you tried to describe what a tagadali is all about. You discussed in detail the mind set of a tagadali . You said “a tagadali doesn’t oun his own life” ,and more . For a lack of a better word you described a tegadali as a robot designed to function only what others wanted him to function. Since Dejen was a tegadali, how is your argument challenges or differs from that of yg? In my opinion you supported yg big time at least in this regard. According to yg, it took Dejen to realize what was going on. According to your description , a tegadali will never figure out what is going on since he is programmed. Sara, have you considered that individuals in a military organization are just like what Tes described a tegadalai, including Dejen? In civilian life, calling someone a robot is an insult, and it is for a soldier or a tegadalai, who are not robots but beholden to the military norms, a discipline that desn’t recognize individual comfort as much as it focuses on the success of a combined force. It is driven by the goals and the situation. In that case, feel free to derogatorily call all soldiers and freedom fighters under Napoleon, or Wingate, Patton, Washington, and the Eritreans combatants, robots. omg, amee saleh i am sure you are responding to some one else. i know something about war/fighting– but not military history or science. You are nitpicking here . Let the writer of the article differentiate himself from YG in his description of TEGADELI. Not only I agree with what Gash Saleh said, he read my mind and just put it as it is. Robotism is what YG and you here now prefer to describe tegadalai. Tegadalai is different. Tegadalai is the one who gave his life for a purpose. He knows what is all going but he gave it. He does not own it. It is a sacrification. principled and full of love. Even he knows when he is brainwashed but he is meant for it. Just onve he gave his life all is fine. He has a living soul, not like YG with a dead soul. It is more complicated than it seems.can I safely call it a cult? I think I need more explanation . If someone has a soul but he doesn’t own it , what do you call him?how is it possible for someone knowingly brainwashed?how long does it take to in-brainwash?is 4 years enough or it is impossible at all? It is not that much complicated. Just be there, do not distance yourself. In fact, what it might make complicated is because it is beyond one can imagine. First; Oh I forgot, do you know by the way the word sacrify? Forget the positions that I wanted to put you. If you are Christian, you probably know what Jesus is meant? Becareful here, I am not equalizing the sacrifice in both cases. What we can get in both cases is the word “Sacrify” for something. Unlike YG, hope you will not ask me what for? It is very kind of you to reply to my questions. 5. Ethiopia is just an inert object, minding it’s own business and giving us advantages in life, until this Ghedli ruined it. Abinet will pop up every now and then when anyone mentions economic integration or any integration of any sort to reiterate his fervent rejection of any sort of union between the two countries and how they are better off. Just a prediction, I could be wrong. After this, I will report to the Selam Club to be initiated by Fanti Ghana and make a dental appointment with Dr. Nitricc. You got it right. Abinet tricked me, I do not know why I failed in his hands. in the first part of this article Thomas tried to push me just like what abinet did but I revoked him and I called YG to respond. I respectfully disagree on how you characterized Thomas’ questions. I think what he asked was very fair. I read the back and forth between you two and you got a bit defensive. Take this as constructive criticism. I think that conversation could have gone better. But that doesn’t take anything away from this article. It is well written. With Abinet, I think he took advantage of certain words you used and the way you worded them. I have to admit I was taken aback when you said brainwashed. But I chalked up to what you mentioned in your article that you are not strong in English. I suspect Abinet will ding you on this characterization. I’ll try to respond to your predictions. 3. I don’t blame gedli for our misery. I blame the butcher derg for not letting you go. I don’t like to live with people who hate me. 6 the tigray gedli is doing much better this days moreover, in ethiopia, in most cases , we are busy in economic activities than worry about gedli. Sham, I think you missed some of my previous comments. Once I asked my feverate Hayat if there is any possibility to form some kind of unity between the two countries. Guess what happened? I got knocked out by Meron(where is he nowadays? )and others. In my short stay at awate university, the most important thing I learned is that we shouldn’t be together in the first place. The arrogance I witnessed in Addis after your independence coupled with the comments I read here (not all) pushed me from a moderate to be against any kind of integration. As I said it before Eritrea is fading away from our memory. The further we go our separate ways, I hope, the more peaceful we become. sincere. I don’t know what you witnessed in Addis, but I wouldn’t let forum postings impact you in that way. It often becomes a place for conflict and one upmanship (if there is such a word) on most sites. isolation has never been a winner for any country. Whatever issues there are, they are not insurmountable. historical terms, but that is part of the picture, not sole reason. Ask yourself why is it so easy for our people, average folks, to be at each other’s throats and get fired up by the authorities? We can’t chalk this up to the other side is bad. But again, that’s another posting. Haile Selassie’s policy though in a much more brutal way. On #7, I’m not in a position to say you’re welcome. But, I’m glad to see the acknowledgement. What does wuletachihun anresam mean? I’d ask someone else but they’ll just chastise me for sounding like a child when I pronounce it. great. But I hope you remain engaged. Hahahaha now that is funny. I don’t know which one is more funny. Aman’s million times goodbys or Tes’s replay referencing a mother and awate.com. Thank you Tess for taking the time to analyze YG’s latest article and refute some of his arguments. You may have to write more articles to demolish YG’s foundations, but I believe you can do it if you keep at it. My only criticism is that you need to do a better job of editing your work before you submit it to be published. Book writers have editors, so you can also ask other people to edit your work. Apart from that, you have a talented mind, and a great potential to produce a great work. This is a careless attitude that insults all of us. Tes made an enormous effort to expressed an idea to teach as well as to learn, and the least you could have done is either acknowledge his effort or explain why you think this is gibberish. However, it is not too late. Please explain why you think this gibberish. I doubt you will get decent answer from Petros. Here is what my ነጸላይ ኣቐብላኒ part is saying, Petros, either you’re jealous or you’re ድሁል ህግደፍ. We will need some tolerance here. The temple in which their guru lives will no more exist and the followers will have have no room to exercise their worship. They will no more read additional doctrines and all what they were reading was also just a trash. Think then the emotions that will come out, Petros is one of them probably a Diakon. Some followers have already to confess. I think gibberish is going too far. Maybe a constructive criticism might have been better on your part. I tried to vote up your statement above several times, but every time the page refreshes, my vote keeps disappearing. So, I am delivering my vote in person! I zeroed on the above assertion in this installment. This blatant statement inflicts many Eritreans. When you tell them the crimes the regime has subjected them they tell you,”ayneberkayon”, nernayo ina”, an euphuism for you are not qualified to make this judgments, you are an arms-chair analyst. We breathed and drunk it for 20 years. You have being in diaspora for 20 years. What do you know? You just said the same by the quoted assertion below. This is not or auto mechanic where you need practical internship to solidify your theoretical learning with hands-on experience. I am sorry to say, you sound to tainted with the “tegbar” syndrome that PFDJ brainwashed people for decades. You do not have to experience these things to become knowledgeable and make correct diagnosis . You are an engineer and you know that you model materials you do not understand into forms you cannot analysis to withstand e forces you cannot perfectly predict to create structures and you are rightly called an expert. I also do not think that YG blamed the family for not differentiating between PFDJ and EPLF, I think he said that they too never gave up sooner, to him both are the same, like me YG believes that PFDJ did not suddenly suffer amentia about the good EPLF. He blames both Dejen and his family for not giving up on the PFDJ. He made Dejen an epitome of this syndrome. Although he was a technical person , Dejen was an educated person in a better position than many to get clued. This speaks to the damage EPLF made on the brainwashing what the great Serray once called: algorithm of the Ghedli machine. I am not going to say that Eritreans are fundamentally flawed and I do not want to to give away my report, but when I tell the youth here the reason the untrained Rashaida’s successfully capture the military trained youth is that because they abandon their guns, they immediately and in unison rebut me because “bretswuat eyu”. They have being mentally damaged to buy into the PFDJ lies. Now am I unqualified to make this statement. I believe that our youth if they were thinking straight they would have not fallen pray of the Rashaidas wth their training skills and proven tenacity. It is in their head. “Head First” as the late Norman Cousins wrote in his book with the same title. You are right if we literally take it from the nernayo ena WE KNOW IT YOU HAVE NOT BEING THERE point of view. But my approach is different. YG completely nullifies the necessity of Gedli. The armed struggle that the Eritreans started and what every Eritrean paid is meaningless to him qnd how they paid it. Take it from this angle. On the vulgar words: DIA deserves more than that. This is what I said I said. To tell you; I have no enough vocabularies to express what Dictator Issaias did and is doing even right now. This being my stand what I am saying here is if Dejen has no such vocabularies how can he gush them like how YG did. I said, “ልሳን ምልኣት ልቢ ትዛረብ።” Dejen has no such words. In fact I appreciate this quality, it is wisdom. Remember Use of vulgar words is ነውሪ and impolite. You wrote, “I am sorry to say, you sound to tainted with the “tegbar” syndrome that PFDJ brainwashed people for decades.” Do not carry me in your boat to such degree of naivity. The cries of my people is still echoing deep inside my heart. Read haile TG reports on the death of young people in the Mediterranean sea. I am crying all time but I do not want opportunists to take over my identity while struggling to come out from my deep anguish. I am not here to show my blind academic and theoretical exhaustion. My sorrow is like what our father Eyob faced, the Bible. Anyhow, here is also another suffering of our people just in another city, in Calais, in a country where I live; France. I like you too much to allow you to step on the banana peel as your buddy YG does routinely. So read this with new eyes. As you know, there are theoretical physicist (the ones who write all the abstract theories which try to explain how the universe works) and experimental physicists (the ones that test out the abstract theories.) The two work in tandem and depend on each other. Most of the time, the experimental physicist are unable to prove what the theoretical physists mind comes up with; rarely (and beautifully) sometimes they are. And when that happens, even those of us who are not physicists know about them because they are breaking news. (Remember the Higgs boson or “God particle” from the 2012 massive experiment?) The point is that the theoretical physicists don’t blame the experimental physicists when their theories don’t work, they go back to the drawing board. They don’t do what YG does: just double down or ignore what the experimental physicists show or, worse, insult them as incompetent. Now that you are doing your fact-finding, you have to approach it with a scientific mind. Here’s a tip for you: even members of the mythical EPLF fighters crossed the border to Sudan to desert the Ghedli. (I know! shocking! Yeka’alo ayka’alon:) but it happened.) Now, part of your fact-finding mission (as a scientist) should be: who was patrolling the Eritrea-Sudan border then? Why did the EPLF leadership give that assignment to that particular group? To do that, you have to interview not just the agelglot but the Yika’alo, preferably someone who deserted in the 1980s. When you do that, you may be spared the conclusions that you have already reached, that you are just trying to find evidence for. Don’t pull a YG on me. Hasebka wad Andom. Here is what I read from Paulo Coehlo’s Face book page and I found it relevant to what you explained using your super-mind. A warrior of light does not rely on strength alone, he makes use of his opponent’s energy too. win: what counts is experience. Then he opens his heart to the Universe and asks God to give him the inspiration he needs to turn every blow from his enemy into a lesson in self-defence. amount of training will help him. nice. 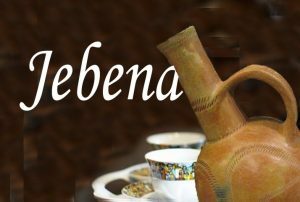 tell me more about the warrior of light, I want to put it in poem form in our lovely Jebena page. We hear that we have vibrant mining industry and lots of gold and copper are being extracted, and send over to world markets. But we have no clue how much Eritrea is earning and we have no clue where that money is being spent/wasted. Its all state secrete. Are you telling me this doesn’t deserve a poem of expose!? It deserve, thank you for you call. again poems can be colorful and arranged the way you want. you can expose where our resources are going while our people are suffering while reminding the warrior or light to fight for his right. the warrior of light sure will hear the voice of his people. thank you Rodab. more Ideas are welcomed . I already got the book hard copy. nice one. do you believe most of what is mentioned in the book is already in my poems ? 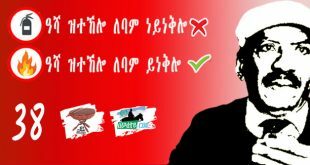 check “meleley tegadalay” “tegadaly” fist part and 2nd 3rd part all in our older version of Jebena and even the new one. and now I will have to put new complete version adding more from the book. I will delete the old in the future and make one complete. till then it will stay in Jebena. thank you. If you read “the secret” already ” The Alchemist” will be a kind of experimental and may be just an extension of the secret, or it can be a kind of theoretical and experimental physics that you well described it. Oh, Karate, I was a farmer since my childhood and use a shovel to dig the land as we did not have a single pair of ox in my family and my head was used to carry fire woods while fetching and hence my neck was like an iron bar of 32 mm diameter, almost non-flexible and hence never practiced karate (aygermekan do). SGS retired at the age of 12 from football world but me, probably I kicked for the first time ad last a ball while taking a compulsory physical education course (with no credit but P/F) in my university freshman year. And hence, never played off. For the rest, it is new concept for me and I will go with deep into it. I like your Rovian concept about how he compromised our sovereignty. I’ve used something to that effect before when talking to supporters. But the self reliant part needs something catchy. My Tigrinya isn’t that great, but I was thinking of juxtaposing HGDF’s mantra of Bitzifrina and how their policies have become our Mesdedi Tzifri. I was hoping you could polish it up with your Asmarino Tigrinya. It’s not bitSifrina. They are saying “tSefarat ina” :). BitSefaratna keytemeHayeshna. tSefar is someone who is unnecessarily aggressive, undiplomatic, unhygienic. My Tigrinya ain’t that bad, man. I know what tSefar is 🙂 Actually, there was a guy we used to call that all the time. I don’t even know why, he wasn’t any of the things you mentioned, maybe undiplomatic. I doubt Habtom is Hulkus as you say, but somehow it fits. Since when do we need reasons for insults anyway. That being said, your slogan needs work. If you can make this catchy enough, it can replace the oft-used “Down, down Dictator” in protests. It’s pronunciation always makes me chuckle just a bit. Maybe one of your clever Bay Area compatriots can help. ኣብ መቓብር ምልኪ ይዕንብብ ፍትሒ…..
Let Justice Blossom over The Ashes of Dictatorship. Of course Saay is Albert Einstein and SGJ is Michael Faraday of Awate. SAAY I could have charged you aiding terrorism but then I will sound the Weyanes. But I am booking you and charging you for Aiding the Enemy. Semere is digging deeper and deeper and I was waiting to unleash my missiles and here you are spoiling it all. I am salivating and drooling all over when ever Semere is digging deeper and deeper. your are hailing Tesfabirhan for shredding YG statement. But here is what YG wrote for you to ponder in bold letters ” the entire school system of the nation was excluded from participating in this selection process that would initially make up the Air Force of the nation.” the key word was ” initially” that makes his statement factually correct. FYI : I was also invited to join the Air force in 1995 , I have the same age as Dejen but he was given the opportunity to become the top echelon of the air force before me . I wonder why? YG could not be bothered by this because he had already written the thesis (there was something wrong with the Eritrean mind–not the EPLF mind, not the ELF mind, not the PFDJ mind, not the Ghedli mind, but the Eritrean mind.) 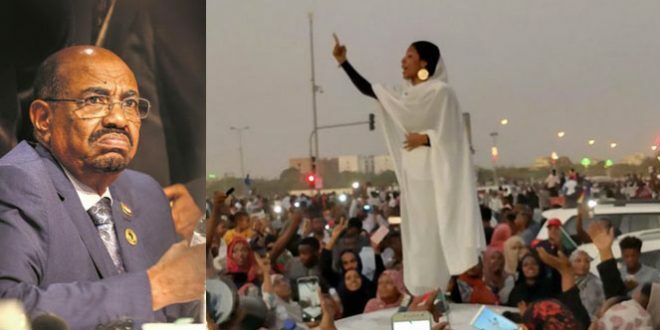 In Yosephville, the Eritrean highlanders are dupes who don’t know their interest; the Eritrean lowlanders are, if left to their own devices, ready to join Sudan; the Eritreans in general are not right-thinking; the good old days were during the reign of Haile Selasse. Only he, alone, sees it all and knows it all with precision and clarity. He would make a fine cult leader. PS: To Ethiopians and Ethiophile and Habesha Romantics who love YG, what would you think of an article with the title: “The Problem With The Ethiopian Mind”? I have a lot of respect for who you are and what you are doing to advance Eritrean cause. However, your hate is blinding you from logic. to most Eritreans even to those who are remotely interested on our affairs. To use this minor error in order to show the lack of research in YG’s work is simply ridiculous. On the quote you provided, if we replace the “ gebar Eritrea “ with accurate description It will not change his central message. were uniquely equipped to help built the systematic injustice. On a different note, It is funny that YG is now “a fine cult leader” when he is day and night working to disarm the cult mentality. Thanks… And I feel no hate; only the ocassional exasperation:). But far less now thanks to the Tesfabirhans, Mahmud Salehs and Haile The Great. Come on Philmon. It’s not a word, a sentence or a paragraph: it’s in the title of the article itself. Can you imagine that title by replacing the word “Eritrea” with “Ethiopia”? To know and knowing are quite different. YG knows the truth but knowing what the truth could not accept it. He knows Eritrea is a country of colonial legacy but since he could not accept this truth he purposefully changed the knowing, the wisdom. To know is to have information while knowing is to analyze this information in its true sense. Knowing is wisdom and YG has non of this. Wisdom is quality,quality of the soul, quality of the heart. Just for refreshment in case you are mixing. it is good that at least you believed YG did an error. Do you know statistically how significant this error is? If we take a sample on how many people will consider this sentence as true it is not that much significant at 5% probabilty using ANOVA analysis, but at 1% it is very very significant. YG has funs, these funs though few they rich a big number of audience and hence it is multiplicative. The Error type here is Cumulative,it is not compensating. This is why YG continued to right for the last 16 years such trashy articles as people were not taking such errors seriously. In fact, this is not an error. It is a carefully written article and fits exactly his objective. YG has a surpassing objective in devaluing the whole Eritrean population and inject what his fantasy is ordering him to do. YG by all means is right on himself to every sentence he is righting. Lately I’m embarking on a new mission, a new endeavor not well articulated in our region. 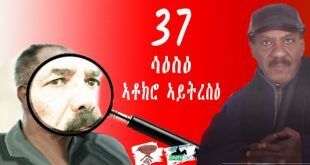 It’s building a unique club dubbed ” Club Salam” on Awate forum; there’s a message for you and the great SGJ in Jebena column. As you know, it’s in its delicate stage, and many nosy individuals are roaming the field sniffing about to find its essence and direction. You know what I mean; the public is ravaged with chronic paranoia, so we need to take it easy. So, we’re trying to keep low profile for the moment. Regarding your engagement with Semere Andom Arkey, from our club’s point of view, it’s going well. Neither of you needs reinforcements at this point. Keep it up. I will make sure nitricc keeps his cool, and let me see if there is leftover popcorn! Of course awate is always willing to accommodate: you know how much SGJ hates football (or any sports, for that matter)* but awate.com still created a World Cup page. I know that you are athletics buff, so I wanted to be first to congratulate you…. The man is in the zone. Just year, he has set a half marathon course record in China; a personal record in Dubai (he ran half a marathon under a minute–that’s Zeresnai territory) and now a convincing win. Impressive. P.S Runners are athletes. May be that would be the only think that I may agree with Eri TV..
A fair offer indeed; and with Fanti Ghana on the steering wheel, I’m sure it will survive your expectation-tlkh…tlkh..enabelet. Now, you brought Ali-S, he should know we expect him to come with something worth our long waiting; I hope he makes a safe U-turn this time. Our by-laws will, of course, include: dekhmetatnan blchatatnan. The good thing is we don’t have “zmlketom akalat” we solve our dekhmetat right there infront of everybody. Another thing: you’ve been picking on Gadi. Please AbusalaH, give him a break. Ermias and Rodam have reported some preliminary results of their coaching; they think he’s making progress in differentiating the LA Lakers and Anaheim Angels. We have already forgiven him for the soccer, he’s been away from it for a long time.Hmmm, with nitricc, he’s been doing alright lately, just don’t mention the “TL” word. U rather seem to be the gibberish of the gibberish. Non-gibberish people challenge,try to refute and analyse things objectively,scientifically,intellectually,professionally? Be a man of courage and challenge this young and brilliant Eritrean intellectual the way he has done. Jealous?Hmmm…. Perhaps gibberish is a harsh word; I take it back. I commend you,Tes, for your effort. Best wishes. Finally gotten around to reading this one too. I must say that you’ve done a spectacular job by doing thorough analysis, Kudos to you. As to the vulgarity point rodab made, well I am kind of with you on that (although I also understand what rodab meant is more related to conventional vulgarity). Considering the wild descriptions that YG uses on the entire Eritrean people, it is fair to assess it as vulgar (regime operatives are psychos and may be fair game). The rest of your splendid work has been educational and hopefully YG makes a response to your well articulated refutations. I agree to a degree that such words are from terminological point of view. and from the other angle, these words are beyond their conventional use in the mindset of YG. YG wanted them to come-out from another man. adjectives are given to someone/thing in order to express how they behave or act. But Dejen did not give such adjectives only YG iamgined, wished, expected. But what he pictured just did not materialize. Then YG was so angry, his blood pressure went high and gushed these words. They are not normal adjectives, they are derogatory, vulgar, and defamatory words. In Tigrigna we have a saying, “ልሳን ምልኣት ልቢ ትዛንረብ።” If Dejen has no such words, unlike YG (the central bank), how can one expect them to come out? This was my instrumental analysis and what you clearly expressed. @rodab:disqus, I agree with you upto the limit that they rest only as conventional adjectives. But, here they are far beyond. Yes,The Real Chosen Refuter and Challenger of the Decade! Kudos to you, the young and brilliant Intellectual by any standard and criteria! Well,people think that he might have gotten a green light by his Masters. Time will tell but we have to prep for any eventuality. I wish the Russian Military Execrise at Aseb will take sooner than later. They are panicking now and do NOT get surprised that the Weyanes will soon set up some kind of ” Made up Terror” in Addis as a pretext to go to war. -The Ethio-Egypt Nile Negotiation is coming up—Ethiopia might try to show up as a powerful and strong side by invading Eritrea including taking over Aseb-seriously! Hey,let us get united for a final show and do NOT undermine your enemy at all. Just kidding and to “annoy” SAAY. Nice to know you are fine Aklilu. I would be stating the obvious and repeating what others said if I told you welcome back. Instead, I will say: atsemwaikhana, dmtskha aytaHab’aa. upside down to show our struggle for independence was wrong. This one just for you Elenta nebsi, since you were talking about it a couple of days ago. I have to warn you that at age 25, Dani must shine in a year or two. From there on, the topic will be his retirement. Sport is such a brutal profession it demands a limited age range. That’s why Drogba just announced he is retiring from international games. This might be THE year for Eritrean cyclists. A couple of the big guns are not running because of injuries. Don’t hold your breath. Tour de Volta is as big as Tour de France. The fact that our three bigs are participating is significant in itself, as this is the first time black Africans are participating there. But a win? That’s raising the bar too high. Way too high. Doping? No way! our kids don’t even know what it is. Of course we can’t swear on behalf of our adult kids (Tinglish). Now you get Rodab! That is why I retired from watching football when I turned 12, after two weeks of testing it.. I cautiously thought you made a strong case with Dejen’s delay on giving up on the system versus the time it took YG himself to stand against the regime, even with all the educational and conditional advantages he (YG) had that Dejen didn’t have. I am a little cautious here because I haven’t ruled in or out other factors such us the deterioration of conditions at later times and so on. But you did make good point there. On the other hand, I don’t know if YG uses unnecessary derogatory words or not (most of the time, I do not read his writings in their entirety) but the ones you mentioned such as dictator, totalitarian and oppressor are descriptions (adjectives) rather than vulgar words. I think they are accurate descriptions, too. Just my view. Anyhow, you undertook such a challenging project and the jury is till out as far as how you did. One thing I can confidently say is, going forward, you have a lot to offer. I join Awatistas in welcoming the Great Aklilu Zere, coiner of “Nsu” and author of “What (Italian) Colonialism Did To My People Of (Eritrean) Kebessa”. Aklilu, hopefully there is part II to that article. I miss you good man. I miss your articles.I miss your teaching words.please be around us we need you always. ንህሕ ምሽ ኣሎና ምሳኹም፡ ዋእ መኒኹምና ዲኹም???? You KNOW what is coming now, don’t you? 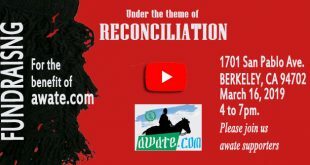 Kokhob Selam is going to write a poem on the Return of Aklilu Zere The Magnificent. Welahi -Ezabihern I was just writing. With great thanks and I will try my best in reaching the high motto that we all dream to achieve. I would like to say here I am in your favorite room (as I can see you are highly missed Awatista) and warm Greetings! Welcome back! Hope all is well with you. You’ve been missed dearly. Again, welcome back. welcome back. I think we have missed you for sometime. Please “birq-Tife’a aytebelena” your input is indespensable in the current debate.